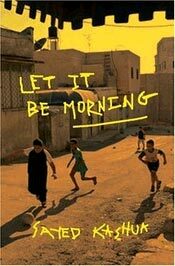 Sayed Kashua is an Arab-Israeli journalist and novelist whose third book, Second-Person Singular, came out recently, just in time for Hebrew Book Week. In this week's edition of his regular column, Kashua recounts his experiences at Tel Aviv's central book fair, taking the understandable albeit slightly hypercritical stance of "don't think of me as an Arab-Israel writer just because I'm an Arab-Israeli who writes about Arab-Israelis." Being almost compulsively anachronistic, I chose to purchase and read his second novel, Let it be Morning. Before I go on to discuss the book let me give you the obligatory spoiler alert, though I find it somewhat irrelevant when reviewing literary fiction (can you really spoil The Brothers Karamazov or Under the Volcano by revealing what happens in the end? ), the following review will tell you exactly what goes on in the book, including that ever-crucial plot twist at the end, though in this book you could see it coming a mile away. 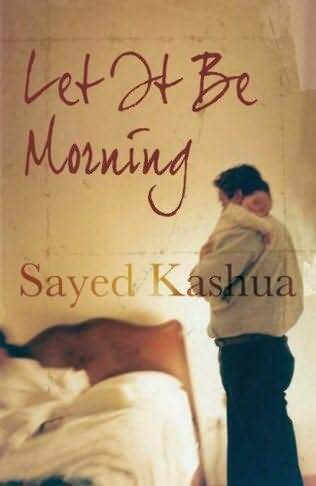 The novel begins with the quasi-autobiographical story of a journalist returning with his wife and daughter to the Arab village where he grew up - this is an interesting touch since it roots the average contemporary reader, probably familiar with Kashua's biography through his personal column, in the very real world and leads him to expect the novel to be thinly-veiled autobiography, thus increasing the level of surprise when the events around the narrator/protagonist get gradually crazier. This approach, however, has its price since the story is written in a rather plain and colloquial style, which works fine for the breezy column and the mundane events of the earlier parts of the book, but falls short in the more dramatic scenes, and ultimately makes the whole book feel less like a carefully-considered and plotted work of fiction and more like a really fascinating idea executed almost haphazardly. The fascinating idea at the core of this work is that, shortly after the journalist's return, the whole village is closed off from the rest of Israel, surrounded by tanks, its power and water cut off, and anyone trying to escape is shot. The story then advances as the protagonist and his family try to survive in this new situation, all the while trying to figure out what exactly is going on around them, and dealing with the problems of food and water shortages, (graphically) overflowing sewage, and eruptions of violence by street gangs and neighbors. I thought this set up had a lot of potential, and consistently wanted for it to develop and expand, thinking of works like Albert Camus's The Plague and even Aharon Appelfeld's Badenheim 1939, but Kashua doesn't venture too far into speculative territory, settling for several days of discomfort and strain, culminating in a violent confrontation between the protagonist's family and their neighbors, which is diffused relatively quickly. Then, just as the situation becomes untenable, it is resolved by the sudden restoration of water and electricity, which makes way for the surprising (but predictable) twist - the reason for the siege was secret negotiations between Israelis and Palestinians, who have now signed a peace agreement under which the village is transferred, in exchange for some Jewish settlements, to the Palestinian authority. Lieberman's dream has come true. And then... that's it. The book ends. Except for a couple of mild hints and incredulous reactions, there's no exploration of life under Palestinian authority. I agree this is a totally different issue and calls for a totally different novel to be written (a sequel perhaps? Let it be Night? ), but the desire for a continuation of the narrative tells me something else about the novel - all through reading it, I was waiting for it to start. The book did provide a brief glimpse of what happens when the social order collapses, but it didn't go far enough, halting the plot with a sudden deus ex machina before things got too extreme, and failing to deeply explore the issues it touched upon. "Listen, there might be a problem with the payment, because we're having crazy cutbacks. So it won't be as much as we used to pay you, but now the cost of living for you there is going to be much lower than here, no?" "Buddy, I could write a book." Thank you so much. Great review.